Situated in the lap of Dhauladhar Range (a branch of the southern outer Himalayas), McLeod Ganj is a village in the suburbs of Dharamshala, in Kangra district of Himachal Pradesh, India. 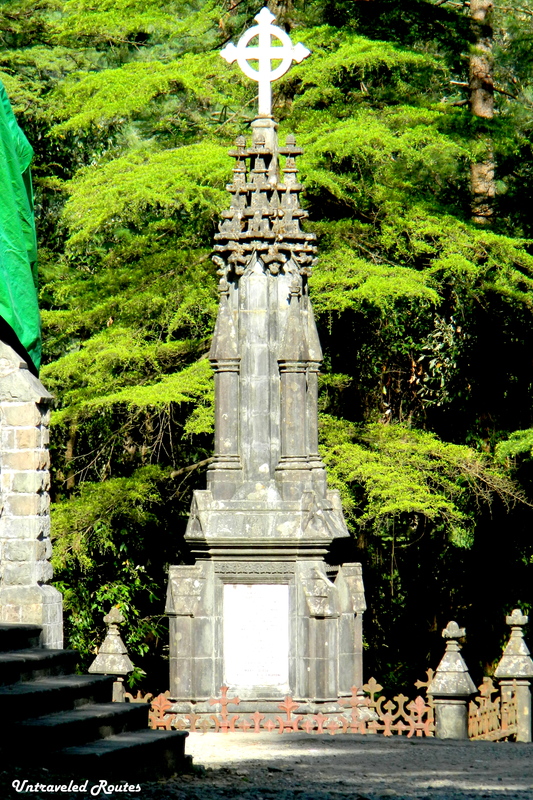 The legend says that village is named after its founder, Lord David McLeod, the English lieutenant governor of Punjab. The most peculiar characteristic of the place is that it is largely inhabited by Tibetans, the moment you reach Mcleodganj all you observe is smaller lanes, Monks (of all ages) clad in dark maroon clothing, people moving around on foot mostly or on bicycle, ladies wearing chubas or dark-colored wrap dresses over a blouse. We almost felt we were not in India. We started our odyssey from Delhi to Dharamshala in a Volvo; it is about 12 hours overnight journey. 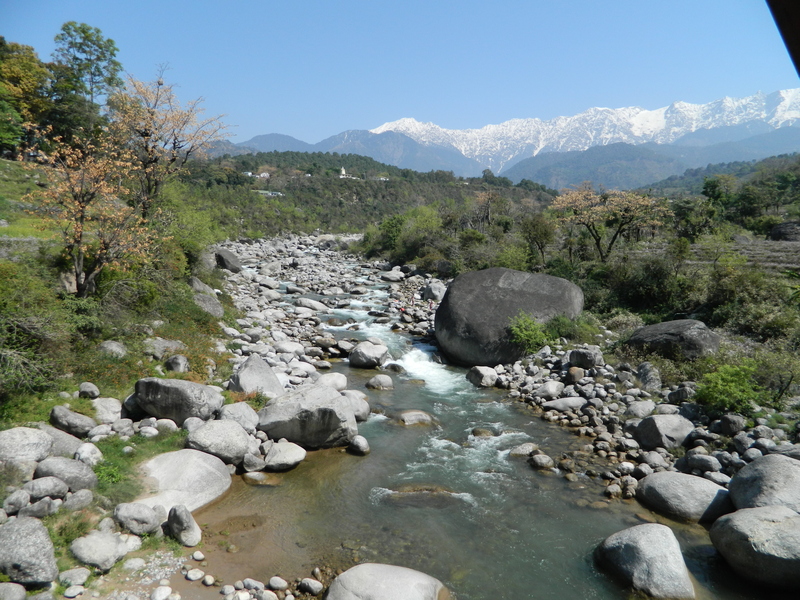 The bus will drop you at Dharamshala, you will get a cab from there to Mcleodganj (9 kms of distance). Their standard rate is INR 200. Mcleodganj is a tiny hamlet decorated with interesting people, monasteries, and streets, oozes different culture from every aspect and contains all things unusual & catchy. Offers several budget to luxury places to stay within a range of INR 900 – INR 4000 per night. If you are able to get a place facing the temple (like Hotel Sahiwa) it’s amazing, not only you wake up to the heavenly sound of temple but you face the vibrant market. 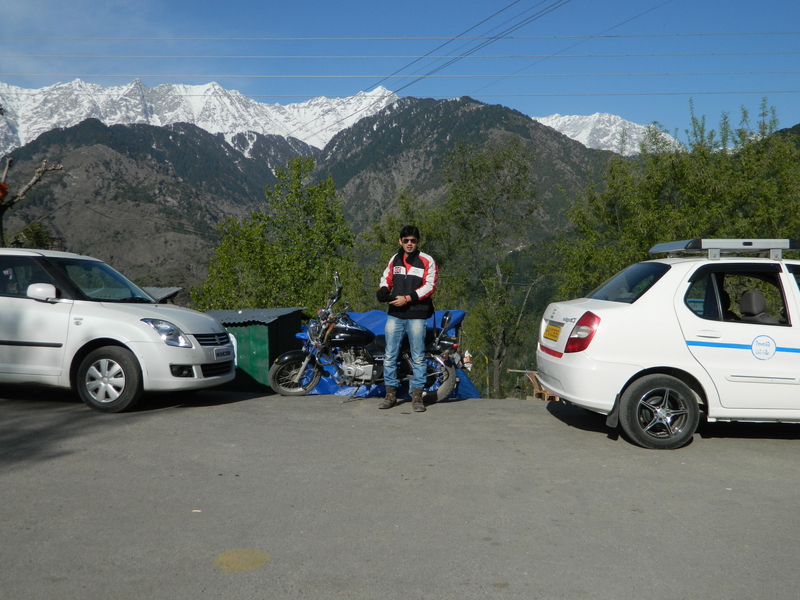 We rented a bike from Mcleodganj & started our exploration spree. There are several places close to Dalai Lama Temple that offer bikes & even bicycles. It’s best to rent either of these depending on your own taste to enjoy the flavor of the city. The drive on these roads is thrilling & totally fun which a four wheeler can never offer. There are so many shops offering variety of bikes depending on your fondness and cost you can get the bargain, the range is INR 600 – 900. The Dalai Lama Temple: Also fondly known as Tsug la Khang, the Dalai Lama’s temple, is the life-blood of the village. It houses the Namgyal Monastery and shrine rooms & it is a soul stirring place to spend your whole day. There is a Tibetan museum within the premises of the Temple, do visit it to know the history & get the feel of the struggle that Tibetan people have been enduring for decades now. Bhagsunath Falls (& the Temple): Yes the falls are right behind the temple & are quite captivating. Tip: The market right outside Bhagsunath offers some special stuff at reasonable prices which you won’t find in the Mcleodganj market; even if it’s available it’s priced high. 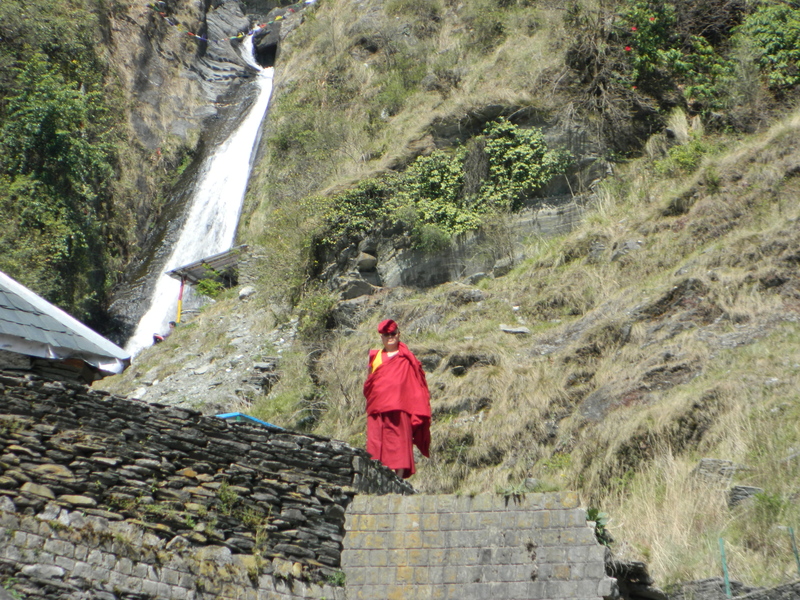 We spotted monks in groups at the falls, just chilling with their iPods and chatting, quite a sight !!! St John’s Church: Built in 1852, this place carries a different essence; enjoy the old charm & some quite time here. The church is really small but boasts of great history. Sunset Point: Just go directly to the sunset point ignoring the temples & one pond that you would encounter on your route to the point. DO NOT STOP AT DAL LAKE. There is nothing but a pond filled with dirty & pungent water. I don’t know why they have named it Dal Lake, infact Dal Lake is wonderful and amazing lake in Srinagar, Kashmir. Masroor Temple: Situated in Kangra, believed to have been built by the Pandava brothers, of the Hindu epic the Mahabharata. This is ons of the offbeat places close to Mcleodganj; a group of 15 monolithic rock-cut temples is certainly worth visiting for the architecture. Tip: Masroor Temple is located 38 Kms away from Mcleodganj & it’s a beautiful road, try doing a bike ride + you will solace at this place, especially if you choose odd timings like early morning, not lot of people try unusual attractions!!! 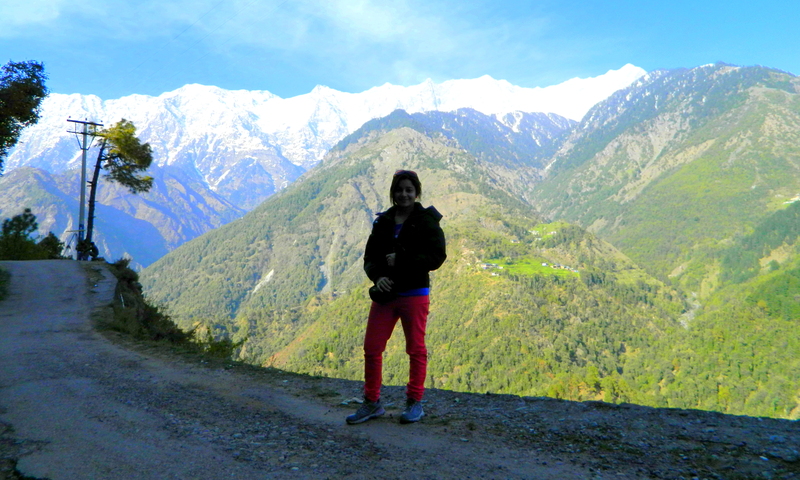 We spent a day at Mcleodganj and left for Dainkund Peak the second day. That was one hell of a bike ride !!! Dainkund Peak is few kms away from Dalhousie. You can cover the distance by a four wheeler too but a bike ride has it’s own charm. McLeodganj. Another place where I almost went. Have GOT to go this year! Thanks for the Masroor Temple ride tip. Thanks for dropping by my blog and following me here in Melbourne, Australia. By co-incidence I have more books, DVDs & framed prints from the Spiti valley and Tibet than you could possibly imagine. There’s a couple of DVDs on India on my bookshelf also.